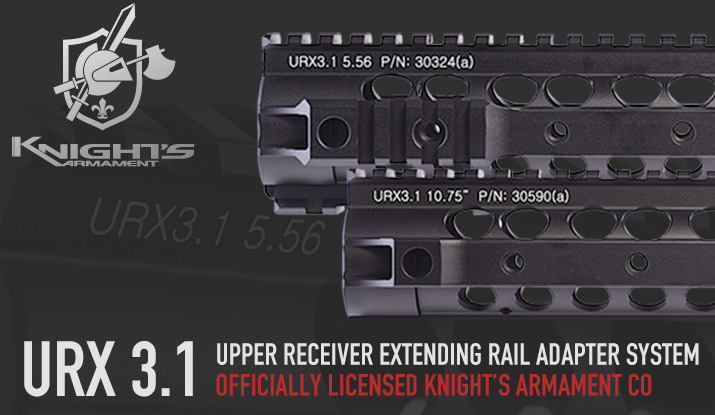 Knight's Armament Airsoft, the official branch of KAC in airsoft has put out their new URX 3.1 rail system, fully licensed, authentically laser-engraved and CNC'd out of 6075-T5 aluminum. The new URX offers an advantage over previous iterations by allowing you to mount only the rails you need, saving weight and improving the maneuverability of your airsoft platform. Remember to pick up an IRON AIROSFT multi tool to install your KAA URX3.1!